Fabrics at W.W. Chan are sourced from prestigious mills around the world, focusing on the quality mills of Italy and the United Kingdom. 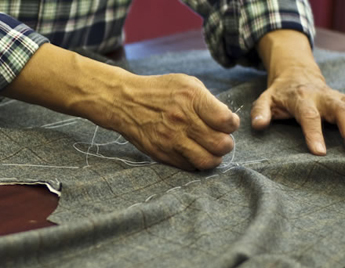 Chan offers its customers one of the finest and most comprehensive ranges of fabric in Hong Kong and Shanghai, ranging from luxurious Camdeboo Mohair to intricate, exuberant patterns from Dashing Tweeds. 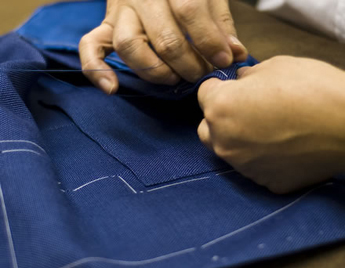 Measurement and fittings are conducted by our tailoring team, who works closely with our experienced cutters, sewers and artisans to ensure that their ideas, demands and criteria for a superb garment can be fully executed. 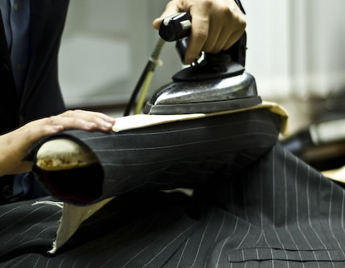 Most of our tailors on the floor have come from a cutting background, giving them a consummate understanding of the manoeuvres behind the scenes. 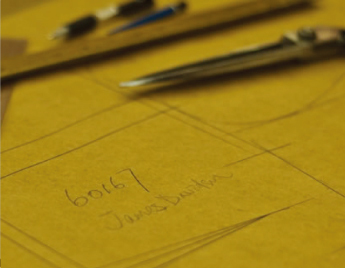 The unique measurements of every customer are captured by a paper drafted pattern. 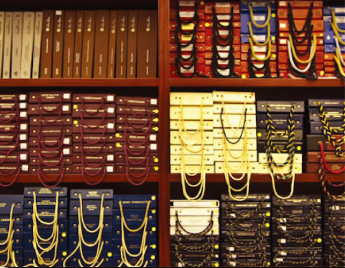 We will keep this paper pattern together with a record of measurements and styles on file for re-ordering purposes. Any changes in measurements can be updated accurately with reference to the current paper pattern and records. All garment fabrics are matched in pattern as closely as possible at the collar, shoulder and welts in order to create a visually flowing and coherent piece. 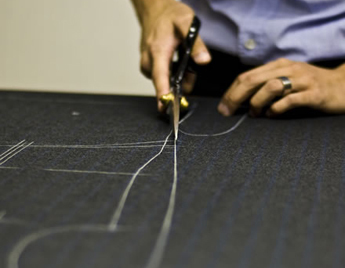 All the pieces of a suit are initially “basted” together with white thread for the fitting process. 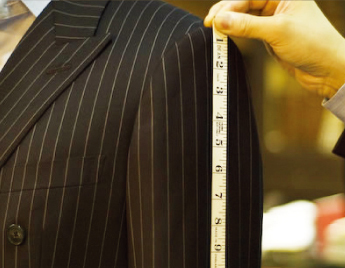 At the fitting process, the customer and tailor are able to gauge, adjust and review the conception of the garment’s final fit as well as any corresponding work that is essential to achieve those results. At W.W. Chan, fittings will be performed until the most perfect and satisfactory fit can be defined for the customer. Sometimes this process may involve more than a few fittings. After the basted fitting stages, the garment is completely broken down again in order to incorporate the necessary changes. As the human body is full of curves and has few straight lines, the manual process & genuine handiwork is essential to create a true bespoke piece. During the sewing process, there is a considerable amount of pressing that is required to manipulate the fabric into a fully live and three-dimensional part of the whole garment. Familiarity of the fabric and experience is crucial here to attain the right curves and shape. The traditional materials of horsehair together with the suiting fabric provide the structure which will not only last but also conform fully to the client’s body, especially around the chest, lapel and neck area, in time. Besides measuring and cutting, creating buttonholes marks another decisive stage. 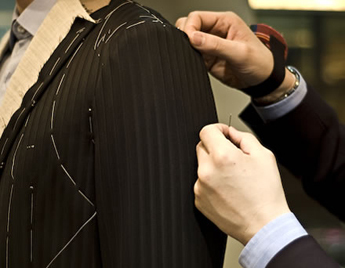 Only when the suit meets customer’s satisfaction are the buttonholes made. 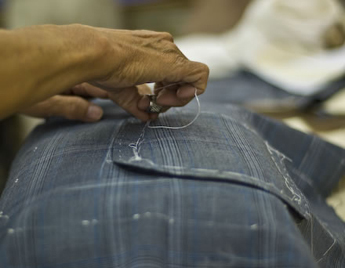 This is a labor-intensive process, as it requires several hours to stitch around all the buttonholes with silk threads.